For the fourth time in a row, JOKMOK has been involved in the conception and organization of the Yu-Gi-Oh! 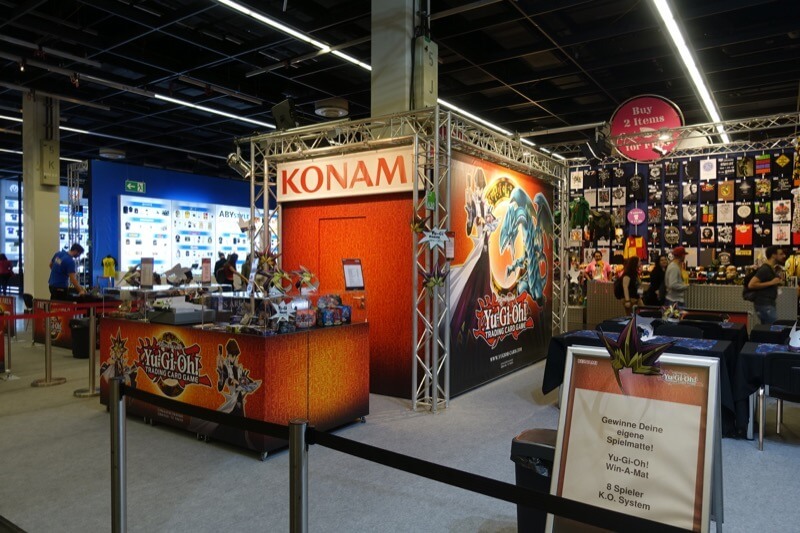 event booth at Gamescom. 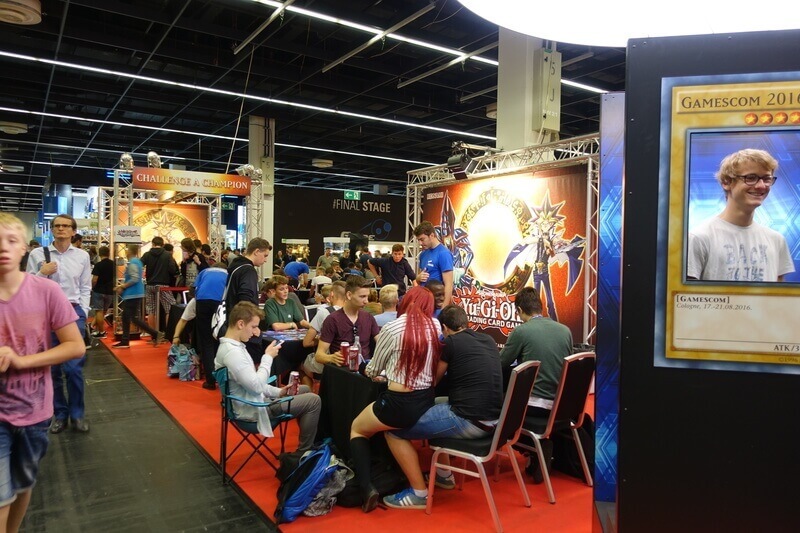 The focus is on the demonstration of the trading card game Yu-Gi-Oh! as well as the sale of the Yu-Gi-Oh! Products. Already experienced Yu-Gi-Oh! Players can duel in official tournaments. In addition, our shop offers current and rare products for sale. 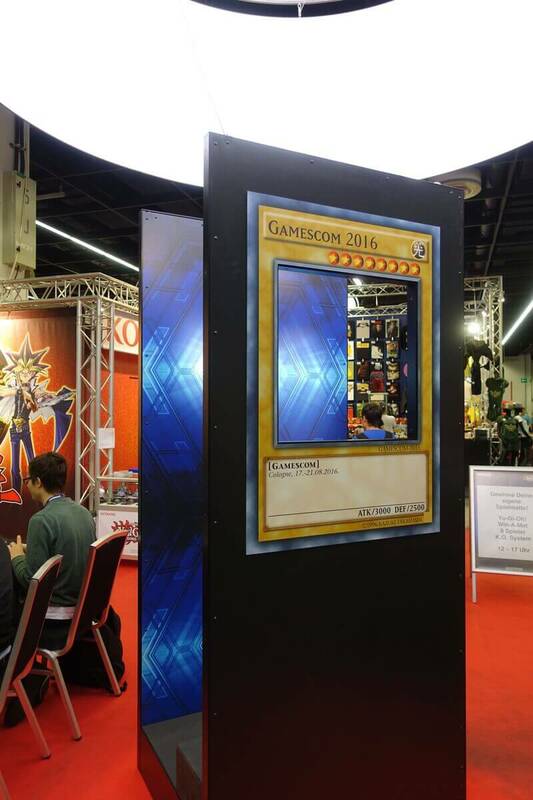 As a special highlight, there is a free photo box in which you can become a Yu-Gi-Oh! card yourself. 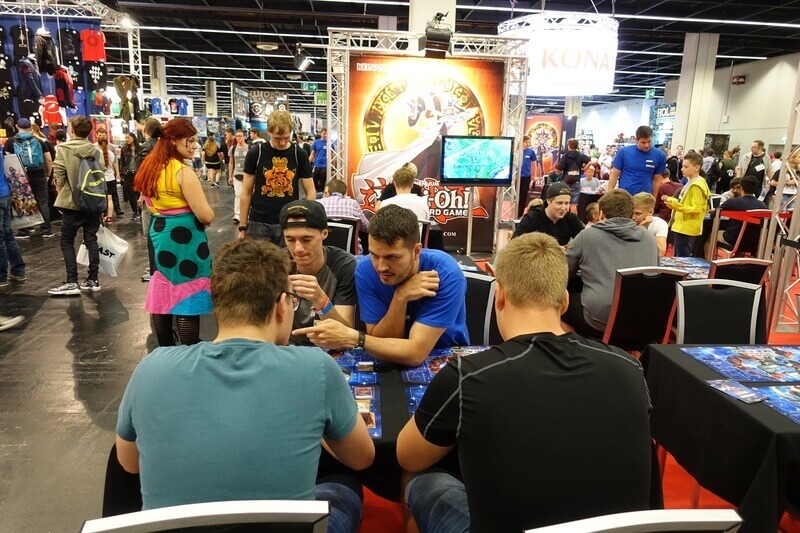 Every year there is also a special: In 2016, the players could compete against a winner of the German or even European Championships in the “Challenge A Champion”. 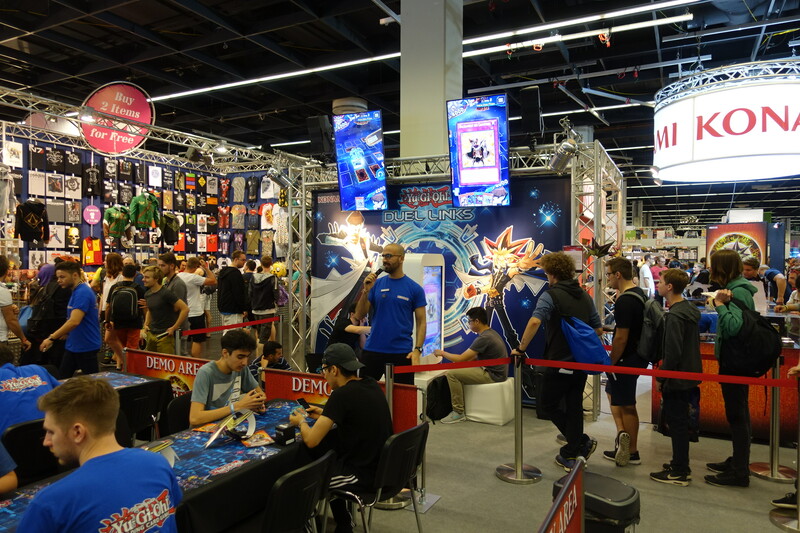 In 2017, the download game “Duel Links” was promoted and the kids could try out the game on oversized touchscreens. 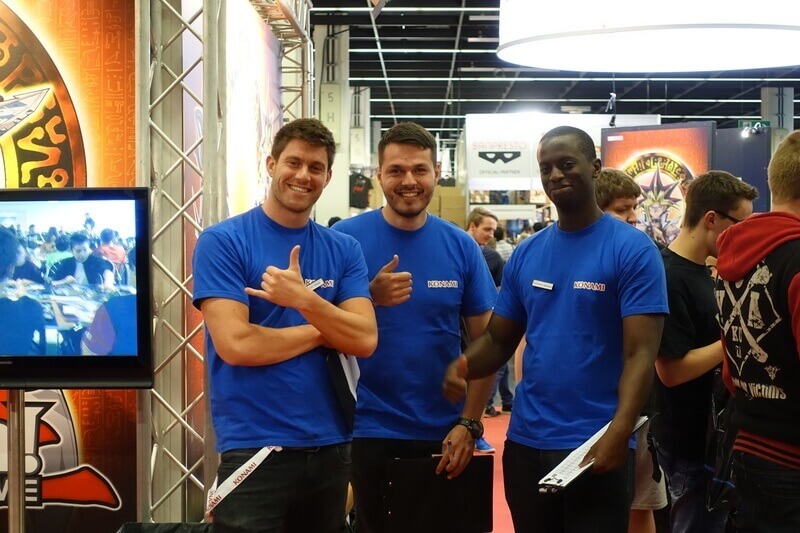 In addition to the conception and organization of the booth, we are responsible for the provision of the staff.